Introducing John’s new line of bleach painted and dyed denim clothing. 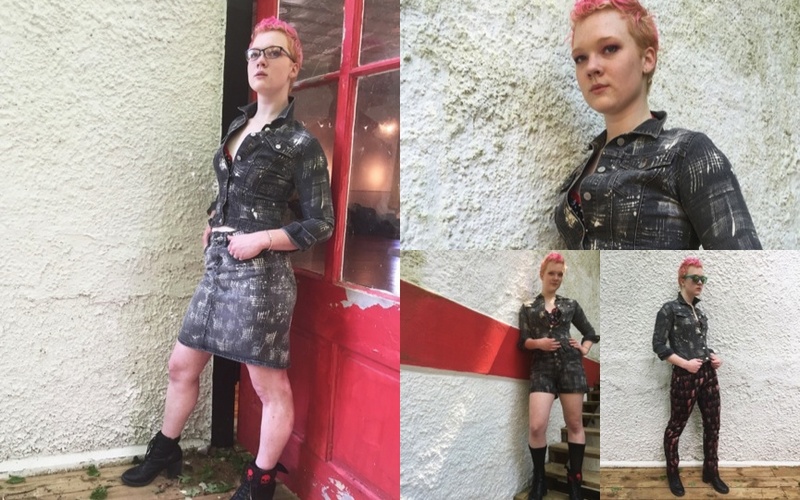 The pattern on each upcycled garment is individually applied by the artist and no two are alike. Some tribal, some more celestial, the designs transform ordinary denim into garments that can be worn in many settings. Think Enya meets the Clash. The Bleach it & Dye line is available at trunk shows and street fairs. Contact John to discuss hosting a trunk show. In Eureka Springs, Arkansas, the line can be shown by appointment. John will also custom design on submitted garments, so if you have pair of jeans or denim jacket you like the fit and cut of, contact him about having it upcycled and renewed. Check out the Bleach It & Dye Facebook page.